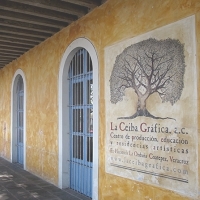 La Ceiba Gráfica is an arts center specializing in the teaching, production and research of sustainable traditional graphic arts techniques such as lithography and engraving, as well as related trades such as bookbinding, paper making and printing with moving types. It is located in the central mountainous zone of the state of Veracruz, Mexico. 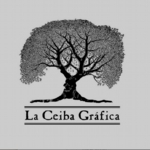 They are the main center of production of marble lithography in the world and the only one in which a work of this type can be realized only with local inputs. 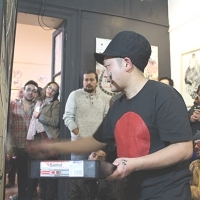 The program of Residencies, Permanent Courses, Interactive Visits, as well as the Graphic Works printed in our workshops that start with co-editions with various national and international artists. 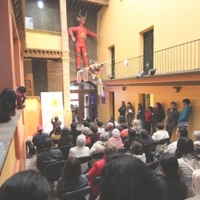 Hidalgo 1, La Orduña, Juan de la Luz Enriquez, 91603 Coatepec, Ver.